On April 26, 2009, President Obama hosted the four 2009 finalists for America’s top national teaching honor, the National Teacher of the Year award. Alex Kajitani, who teaches mathematics at Mission Middle School in the Escondido Union (Elementary) School District in San Diego County was one of the four finalists. California state superintendent of public instruction Jack O’Connell says that Alex is best known for his use of rap music to connect with his students, but his real talent lies in his ability to reach those students who have all but given up on school. Alex employs this unusual medium because of his deep concern about the achievement gap and its impact on his students, as well as on other students struggling in schools nation-wide. We featured Alex in our December 2007 column. 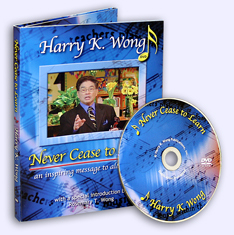 Click here to read his story and listen to his rap songs. As a society, we cannot afford to produce 18-year-olds who have only a sixth grade education. We cannot allow an achievement gap that preys upon our ethnic minorities, especially our Latino and African American students, to persist. Teaching is not just what we do, it is what we are. We are a group of dedicated, passionate professionals who enter our classrooms each morning not only to teach our students about the world as it is, but for the world as it can be. We live on a planet shaped by war, hunger, disease, and the destruction of our environment. Yet, we also live in a world in which we, as educators, can invoke in our students the determination and knowledge to create peace, equity, and compassion. As educators, we are not accomplishing this alone in our classrooms, standing in front of students and desks. By being teachers and embodying the commitment that is inherent to living and working as teachers, we are inspiring, creating, and invoking in our students the pride and confidence to make this world a better place. Above all, we are doing it together. The other finalists for the prestigious 2009 National Teacher of the Year award were Susan Elliott, an English and Social Studies teacher at Highlands Ranch High School in Highland Ranch, Colorado; Anthony Mullen, a high school special education teacher at ARCH School in Greenwich, Connecticut and who was chosen National Teacher of the Year; and Cynthia Cole Rigsbee, a sixth through eighth grade reading teacher at Gravelly Hill Middle School in Efland, North Carolina. Alex is featured in the opening chapter of a book that highlights 18 former National Teacher of the Year Award winners and finalists. The book, Conversations with America’s Best Teachers by J. William Towne, is due for release in July 2009 (see: www.americasbestteachers.blogspot.com). 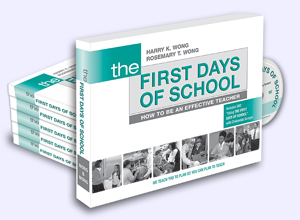 If you would like to be an amazing educator, pick up this book! It features teachers who share their innovative methods in the hope that children everywhere will benefit. Ineffective teachers are all alike (which is why they are ineffective), whereas effective teachers are unique. Effective teachers do not limit themselves to doing the same things, thinking the same ways, or behaving just like everyone else. Towne interviews 18 of the best teachers in the United States in this book. Not a single one is like any of the others, yet each is very successful with their students. There is Alex Kajitani, whose class is composed of high-risk students, yet he has no discipline issues because of a nifty “classroom procedures” rap that he wrote and performed; a teacher who started a coaching cadre; a teacher who makes his classroom so inviting for students that they rush into class; and a teacher who applies for grants to fund his creative teaching ideas. Successful teachers “steal” from other successful teachers. They always have their ears tuned and eyes wide open for good ideas that they can adopt and adapt for the unique needs of their own classrooms. 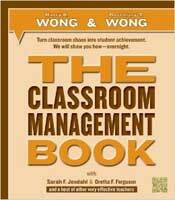 Read this book, steal some ideas, and you’ll be on your way to becoming a highly effective teacher yourself! The most effective schools and school districts have an organized training program—called an Induction Program—to help their new teachers become effective teachers. One of these is the Prairie Rose School District in Alberta, Canada. 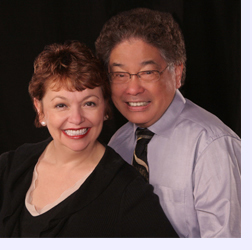 Click here to read more about their approach to helping teachers become highly effective. Lowell Leffler, when he was Deputy Superintendent of the Prairie Rose School Division, developed and implemented a three-year induction program. The success of the program can be seen in the high rates of teacher retention and increased student achievement. Induction is a structured program that is designed to help new teachers transition from being a student of teaching to a teacher of students. The induction process guides new teachers in their development as they become more proficient in their profession. Induction is a comprehensive program that must begin before the first day of school and should continue for two or more years beyond. Mentors to help new teachers are fine, but mentoring alone is not enough to help new teachers succeed. Click here to see why. Lowell has helped School Divisions in Alberta, Saskatchewan, and New Jersey set up their own induction programs. Lowell is available to consult with school systems to tailor a comprehensive induction program that will best address their specific needs. In situations where a school system does not have the personnel available to deliver a program, Lowell delivers a multi-day Summer Induction program, as well as on-going induction workshops throughout the year. 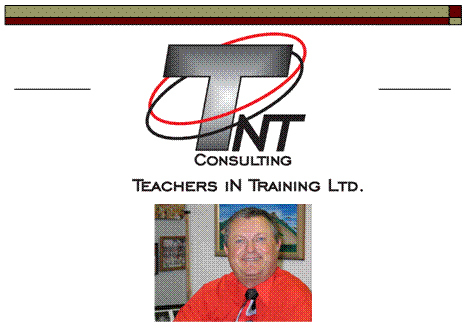 or contact Lowell directly at Lowell@teachersintraining.com. It’s the teacher that makes the difference. It’s not complicated restructuring or expensive programs. 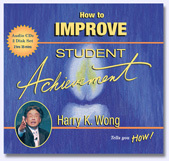 Study after study has found that effective teachers produce improved student learning. 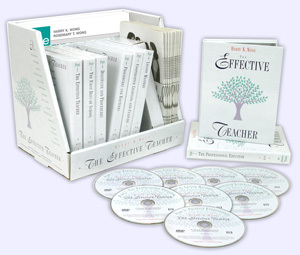 Helping teachers become more effective is what we do and we have been doing this for almost 20 years. DECEMBER 2000—It’s Not the Students. It’s the Teacher. Key Idea: Use professional learning communities. L.C. Kennedy School in Arizona has created a learning community of teachers that tackle problems and issues. The teachers work as a team, with student success at the forefront of every meeting and conversation. Learn how two grade level teams developed a common goal, as well as the steps they took to achieve success. Key Idea: Whoever is doing all the work is doing all the learning. When you walk into a classroom, what do you see? Is the teacher doing all the work—lecturing, demonstrating, and rushing back and forth? If so, the person doing the most work is the teacher. Encourage your students to be responsible for their own learning by setting a class goal. When students tutor each other, working to help each other toward a common goal, they learn more. Key Idea: Together, we learn. The Boaz philosophy states, “We can do something to help every child succeed.” Their schools are all ranked in the top ten percent of the state. They are able to accomplish this with mutual cooperation, emotional support, and personal growth. There is an on-site instructional coach in each school to help lead the professional development process. Learn how your school can commit to improving the learning process for teachers and students. Key Idea: Successful schools wisely invest in the effectiveness of their teachers. The better the teachers instruct, the more the students will learn. Studies cited consistently state, the more effective the teacher, the more the students will learn. Good teaching matters for student achievement more than any other single education resource. We also know that the first group to benefit from an increase in teacher effectiveness is the lower-achieving students. Money well spent on processes that improve the capabilities of the teachers yields the greatest benefit for the students. We salute all of the nominees for the National Teacher of the Year award—for showing us the way forward with your innovative thinking and “never give up” attitude. We salute all teachers around the world—for your selfless commitment and dedication to our children. 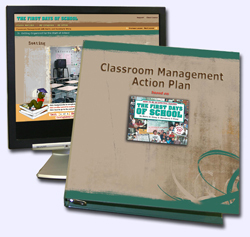 For 180 days or more, your single focus has been on the day-to-day operations of your classroom. At this point you are intellectually spent and need some time to rejuvenate and energize yourself before the new school year—maybe even have a little fun! When you’re ready, use the summer to “steal” from the effective teachers in these past articles and create an even more exciting classroom for your students. 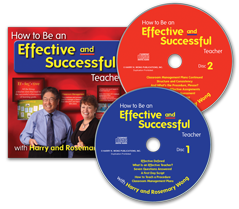 The newfound tips, timesavers, and techniques will refresh, renew, and restore your passion for teaching. We’d love to hear how you spent your summer and what plans you’ve created for improving your effectiveness in the classroom. May your summer be spent sculpting sandcastles of opportunities for you and your students.